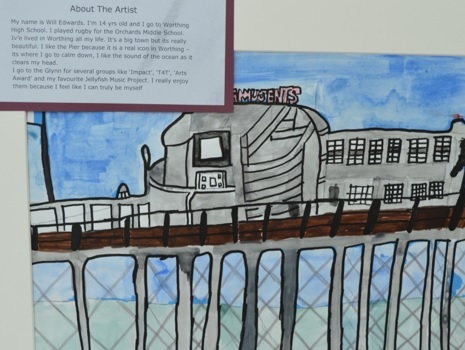 English Martyrs Worthing Project Open Day | Worthing Pier: Past, Present and Future? 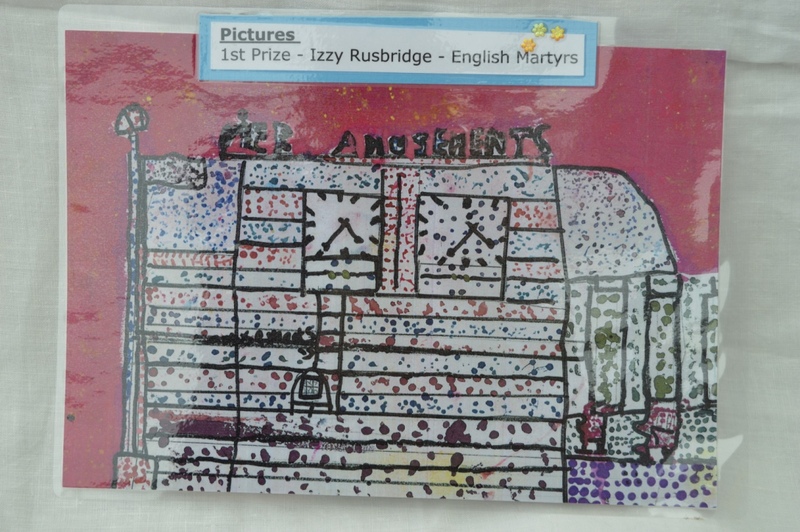 Recently Shirley Robinson Viney (Worthing Youth Council Adult Facilitator) visited English Martyrs Roman Catholic Primary School to find out what pupils had found about the Pier and other famous town landmarks. 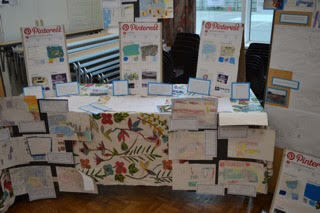 The whole school have being doing a project about their town, Worthing. 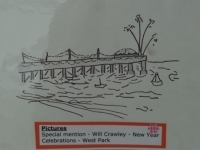 Pupils have thought about how they would improve the town. 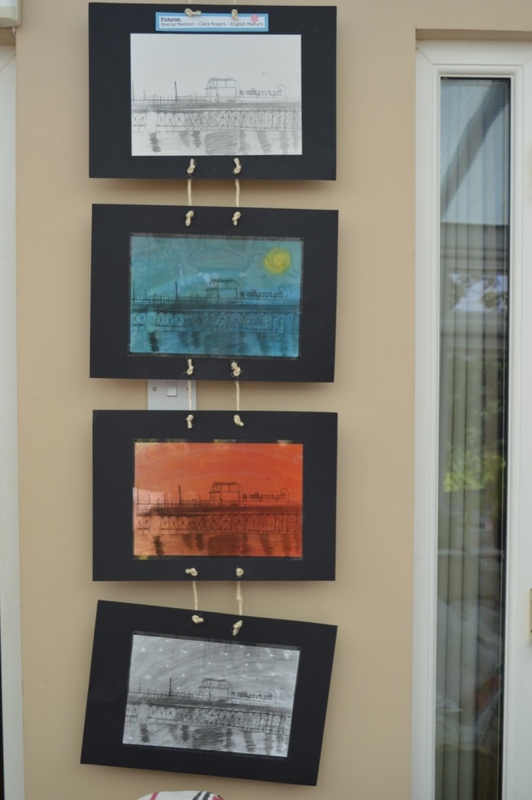 In the process they have been learning in Design Technology and Art about planning, engineering, architecture and design. Each year group applied these skills and knowledge to design new buildings. 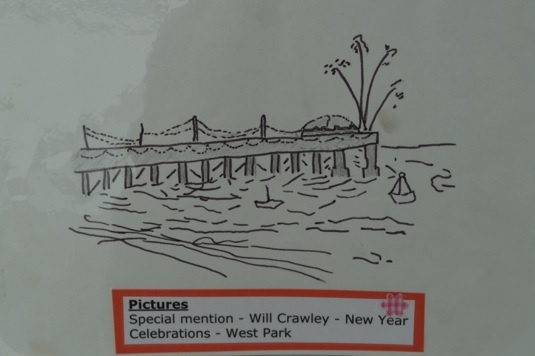 Do you think these features will appeal to local residents and visitors to the Borough? Early Years designed a Zombie Tower. Where do you think this should be located in Worthing? 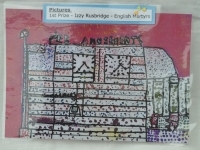 Year 1 designed brightly coloured building and monuments for the town. 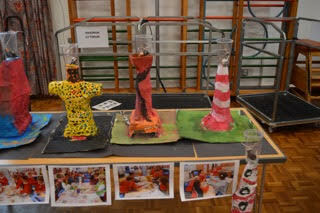 Year 2 designed different lighthouses and wired them up so they worked. 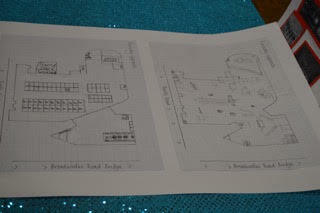 Year 3 looked at the Guildbourne Centre and resigned it making the ice rink the the focal point. Coloured penguins were added to help those that can not skate! 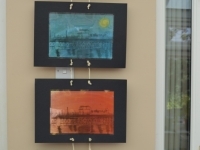 See also our stained glass window added to reflect different colours on to the ice when the sun shines. Year 4 updated the old Aquaria site and designed Aqualand, a full sports facility with football, hockey and skateboarding pitches and tracks. To encourage people to visit a fast food restaurant has been erected close to all the attractions. 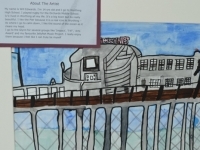 Year 5 researched the old Teville gate area and designed a 3 and d-D cinema complex with hot tub seats, family sofas, an arcade and restaurants. 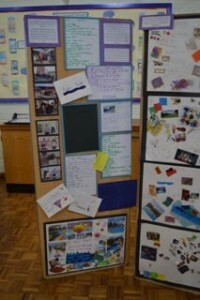 Research and interviews with local residents helped pupils produce these detailed plans. 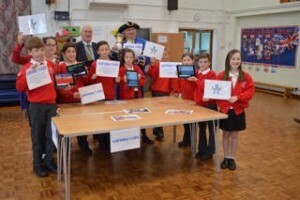 Year 6 brought all these elements together and created an online app called Worthing 4 Kids to enable residents to search and find things to do. This app can be found at apps.appshed.com/671450 and should be live by the end of November 2015, check it out. The project has inspired our pupils to take an interest in their area and has taught them some amazing skills and historical facts. 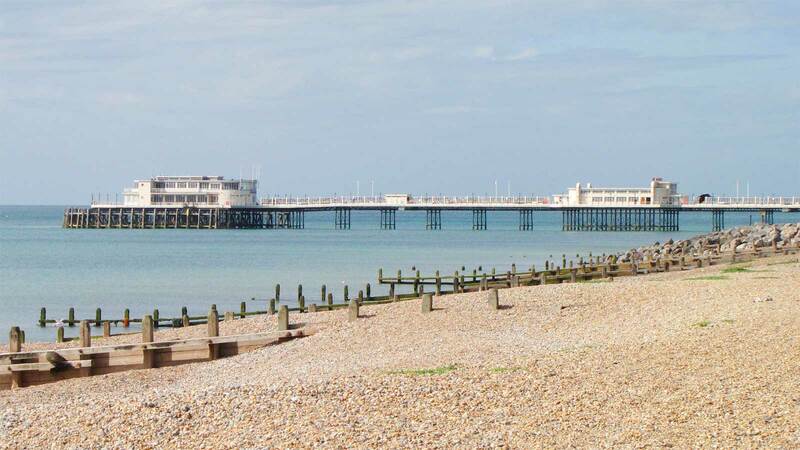 Did you know that the sea front was built by a German architect and during the war for this reason was boycotted by local residents! So judging from my visit the young pupils are certainly more aware of what is going on in their town and know a lot more now about the needs of local people and what they want to see added to the town. Hopefully some of our pupils will have the opportunity to apply these skills if they become members of Worthing Youth Council in the future!